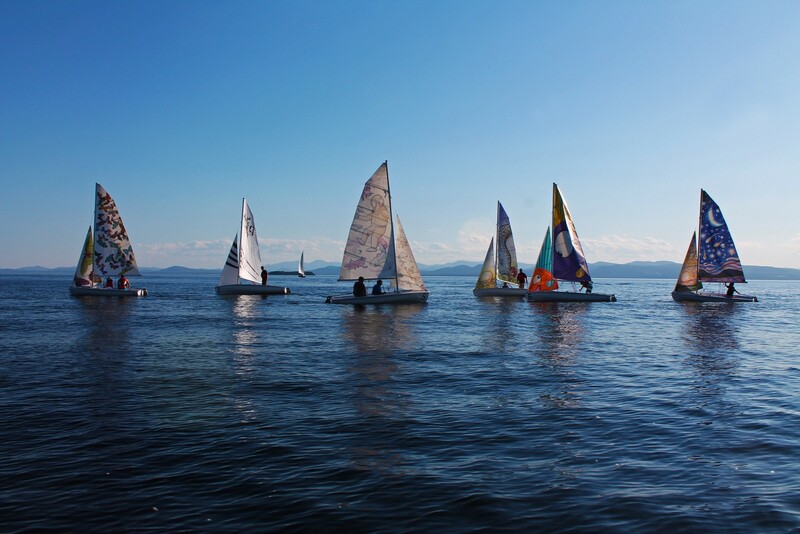 Dealer.com has not been shy about its intentions of putting art everywhere — including Lake Champlain. 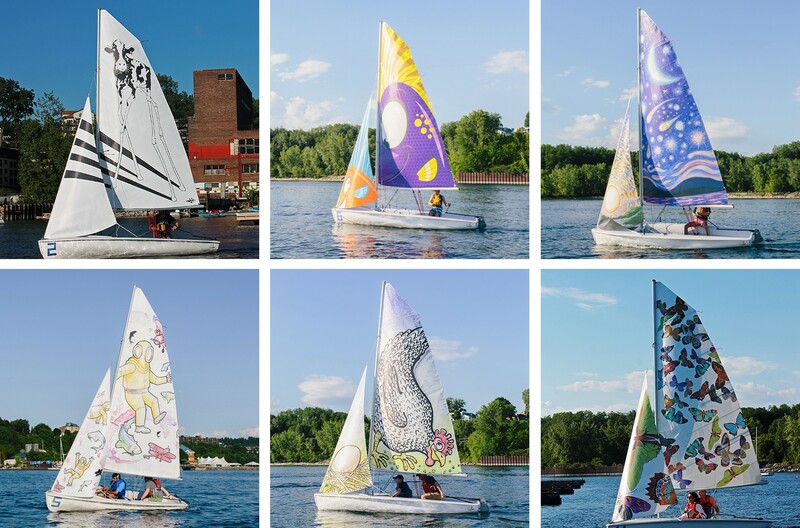 This past Tuesday, six new art sails donated by the company debuted at the Lake Champlain Community Sailing Center's Love Your Lake event. Works were commissioned by Matt Douglas, Jozie Furchgott Sourdiffe, Tara Goreau, Nick Heilig, Max Hodgson and Sarah-Lee Terrat. Dealer.com first teamed up with the sailing center a couple of years ago and dreamed up the idea to commission one-of-a-kind, fully functional sails emblazoned with original work by local artists. The project is officially known as the SailArt Floating Gallery. The first four sails, fabricated by San Diego-based company North Sails, were revealed in summer 2015. They featured works by Scott A. Campbell, Mary Lacy, Abby Manock and Michael Sipe. "We have the only floating gallery in North America," said CSC executive director Mark Naud. The project is similar to that of Britain's Fine Art Sails, established following the London 2012 Olympics. Prior to the Lake Champlain initiative, Naud said, some CSC sails featured the logos of center sponsors — "the only billboards in Vermont," he joked. Naud said they began to wonder, "what if we covered [the sails] with 'real' art, rather than logos?" Jill Badolato, Dealer.com director of corporate responsibility, told Seven Days by phone, "The idea is that eventually every sail [will] be an art sail." According to Naud, this would be approximately 40 sails in total. Tuesday's event kicked off the CSC's Love Your Lake capital campaign to raise a final $1 million toward building the new Community Waterfront Campus & Sailing Education Center. For Naud, both the center and the campaign are about getting an entire community excited about Lake Champlain — which technically belongs to everyone as part of the public trust. 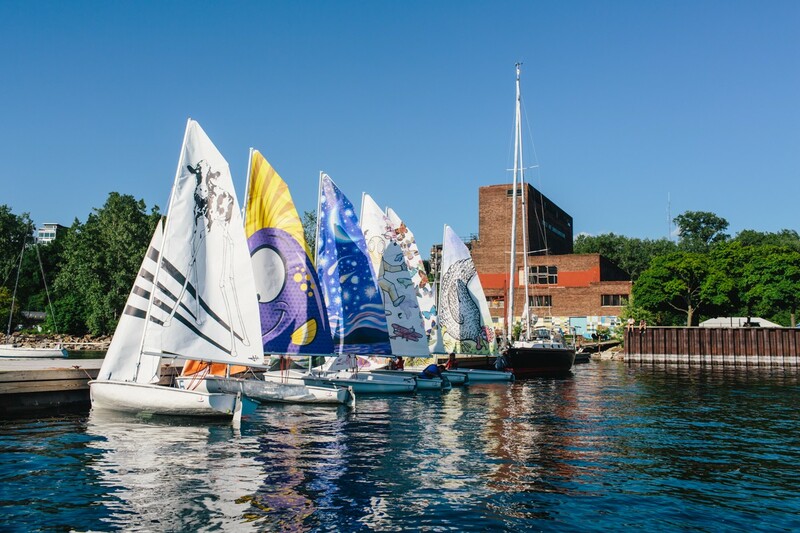 The art sails are an asset to the CSC's STEAM (science, technology, engineering , art and mathematics) goals for its Floating Classroom programming. In addition, the sails might attract folks who are more visually oriented and less lake-spray inclined. As Badolato said, "Anytime you look at the waterfront, it’s a floating gallery."